UNCHARTED, a Young Adult contemporary fantasy is now available from Page Street Publishing, distributed through Macmillan! Seventeen-year-old Annabeth prefers the fantasy of her books and paintings to reality – because in reality, her mom is dead, and it was all her fault. When she accompanies her father to the funeral of some family friends who drowned, she’s surprised to find her grief reflected in the face of Griffin Bradford, the son of the couple who died. Griffin is nothing like the carefree boy she once knew. Now he’s irritable, removed, and he’s under police investigation for his parent’s deaths. Annabeth fears her father isn’t lost, but rather a victim of something sinister. She launches her own investigation, tracing clues that whisper of myth and legend and death, until she stumbles upon a secret. One that some would die to protect, others would kill to expose – and which twists Annabeth’s fantasy and reality together in deadly new ways. 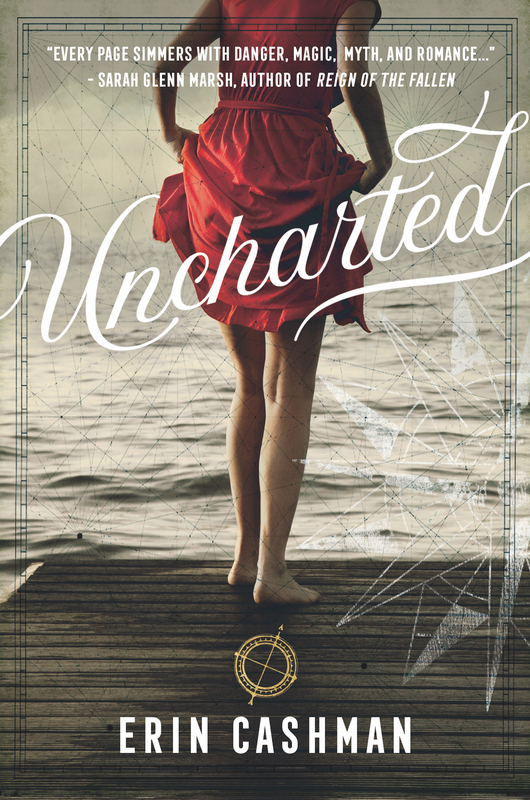 Click here to watch the official Uncharted trailer, designed by the wonderful Sarah Kershaw (The YA Book Traveler)! Available now in Hardcover and Audiobook. Paperback and digital coming soon. In a famous family of exceptionally talented people, fifteen-year-old Claire Walker is ordinary … or so she leads everyone to believe. Yet the minute she steps out of line, her parents transfer her to Cambial Academy; the prestigious boarding school that her great-grandparents founded for students with supernatural abilities, or “specials”. Although Claire can’t see ghosts or move objects with her mind like the other students, she does have a special she considers too lame to admit: she can hear the thoughts of animals. Just as she is settling in, one by one the most talented students – The Exceptionals – go missing. In an attempt to find out what happened to them, Claire uncovers a dark prophecy involving a plot to destroy Cambial and a mysterious girl who can communicate with a hawk. Could she be that girl? Does the gorgeous but secretive boy she meets in the woods know more than he is letting on? After years of ignoring her special gift, Claire decides the time has come to embrace her ability … before it’s too late. I am thrilled and honored that THE EXCEPTIONALS was named a Bank Street College of Education Best Children’s Book of the Year!